Well, life has been pretty crazy lately for this chick. There's been a family health issue this last week and a half, and long story short I've been spending every night in the hospital caring for said person. Despite all the craziness, I did have two Ipsy Glam subscription bags come in the mail recently, (I actually didn't receive my original October bag, but customer service was amazing and sent me a replacement bag no problem!) 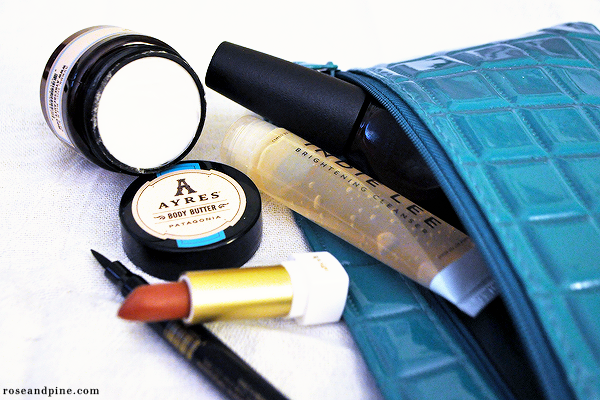 and I wanted to do a little show and tell with some reviews of what was in my bags! Ipsy is a great service that, for $10 a month with free shipping, sends you five samples or full size beauty products, catered to you! Check them out here! Oil Of Morocco Argan Oil Volume Shine Hairspray - I've never been a big hairspray user, but from the one time I've used this, I really like it! It didn't leave my hair 'crunchy' and my 'do stayed for a decent amount of time. 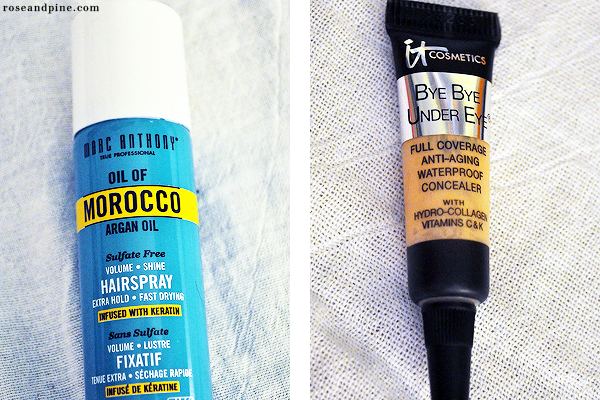 It Cosmetics Bye Bye Under Eye Concealer - I've gotta say, this concealer has been my saving grace these past two weeks. Being getting very little sleep on a lumpy hospital chair-bed will give you a case of the sleepy eyes, and this has made me look halfway decent. I'm kidding, it makes me look like a got a full 8 hours of sleep. 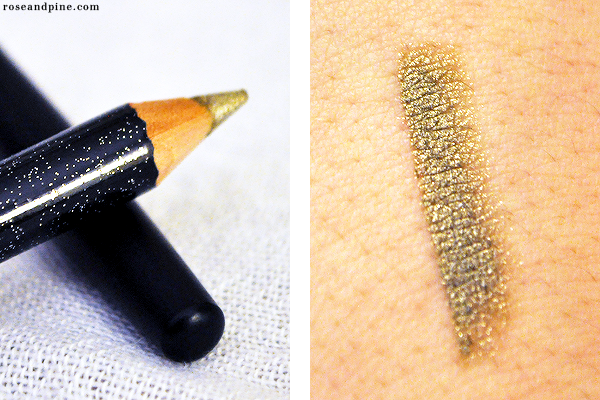 Starlooks Gem Eye Pencil - Oh this is stunning! This pencil is like, pure shimmer, and I love it. It looks great on my green eyes, and I think would look even better on blue. 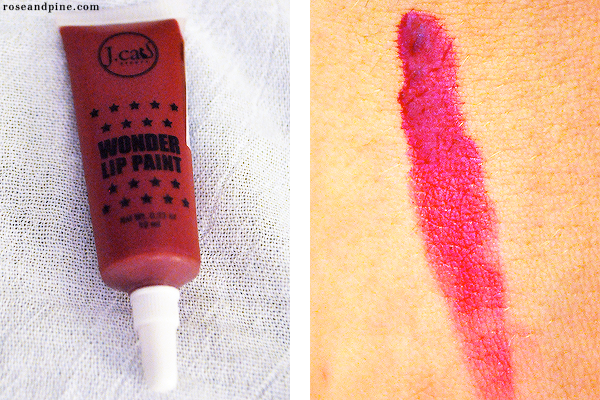 J.Cat Beauty Wonder Lip Paint - This new dupe of OCC's Lip Tar is to die for! The product is so pigmented and lasted for about an hour before I went to eat, which is a lengthy time for a lip product for me. SeaRX Birchsap Moisturizing Lotion - This lotion smells amazing, and gives a decent amount of moisture! Bonus points for the cutest color for their packaging! Ayres Patagonia Body Butter - This body butter smells like heaven! And oh boy it gives a great bit of moisture. Indie Lee Brightening Cleanser - Not sure how much it 'brightened' my skin, but it has - once again - an amazing smell, and made my skin feel squeaky clean! Nicole by OPI in Feeling Very Cherry - A really cute polish in a great deep burgundy! I only wish that it didn't look almost black with only two layers and too sheer with only one. But overall, an OPI polish in this bag? Amazing! Noyah Lipstick in Deeply in Mauve - I keep calling this lipstick 'Deeply in Maude' because I've been watching way too many Simpsons reruns on FXX. But this lipstick is amazing! I'm pretty sure I'm going to go back and buy a full size, probably in a different color just to try it out since this one is a baby sample size. It's so hydrating and so super pigmented like I'm not even kidding you guys this is for real the italics are very very necessary. Skone Cosmetics Tattooed Waterproof Eyeliner - While the formula is so-so, I can not say enough great things about the brush. It may be the best liquid eyeliner brush I have ever used. It has the tiniest tapered point that is perfect for getting a thin line, which I love! 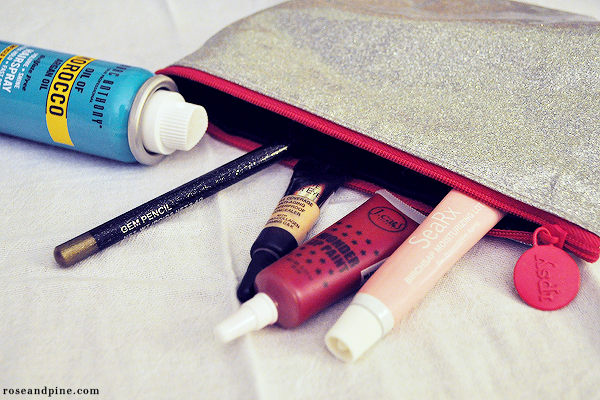 I highly recommend joining Ipsy's Glam Bag program, it's $10 a month for all this awesome stuff, great makeup and a cute little bag, with free shipping. So worth it. This post contains some affaire links. Thank you for supporting this blog!